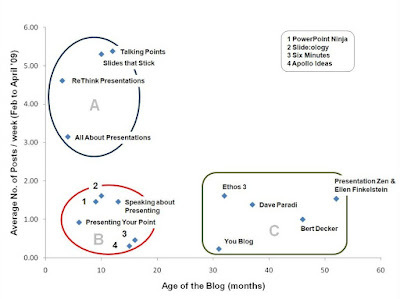 Blogging on presentations is on the rise. Two years back there were only a few blogs on presentations. Today there are many. 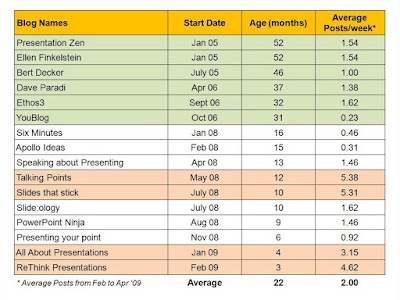 Year 2008 has seen a surge in the number of blogs on presentations. Out of 15 blogs on my blog roll 8 were started in 2008! Year 2009 looks to continue from where 2008 left. This post has been written with two objectives in mind. Here is the list of 16 blogs on presentations. These are the blogs I follow regularly and this list is by no means exhaustive. We can clearly group these blogs into three clusters. The general trend which one would expect is for blogs to start at a high frequency and then slow down as they age. To avoid this I follow a simple policy of having three posts a week. All About Presentations thus gets regularly updated. Blogs like Ethos 3, Presentation Zen and Ellen Finkelstein's PowerPoint Tips blog should be complemented for constantly blogging for more than two three years now. Talking Points (5.38/week): Joey Asher describes his blog in these words, "Talking Points is a blog about how to give business and sales presentations that connect with listeners, sell ideas, and win business." Slides that Stick (5.31/week): Jan Schultink is a former McKinsey strategy consultant now working in his own boutique consulting firm. In his own words, "Slides that stick is about ideas for better presentation design, often taking inspiration from places far away from the PowerPoint slide edit screen." ReThink Presentations (4.62 posts/week): The author Oliver Adria says, "ReThink Presentations discusses issues on presentation design, content and delivery. The blog has a conversational nature and discusses effective presentation ideas in a simple and easy manner." All About Presentations (3.15 posts/week): At All About Presentations we discuss conceptualization, design and delivery of presentations. It is a practical blog containing simple and useful articles on how you can improve your presentation skills. Managers and executives should find this blog especially useful. Slide:ology (1.62/week): Duarte Design's Slide:ology is a popular blog. The blog's content, mostly written by multiple authors covers what's happening in the world of presentations. Speaking about Presenting (1.46/week): Olivia Mitchell is a very active blogger and this is what she said when I asked for an introduction. "The Speaking about Presenting blog is for people who have to give presentations as part of their work. I provides in-depth tips and techniques to help you plan an effective presentation and deliver it with confidence." PowerPoint Ninja (1.46/week): Brent Dykes, the author of PowerPoint Ninja puts it in these words, "My blog is about practical or pragmatic tips and tricks for PowerPoint and business presentations. I focus on all three areas of planning, design, and delivery of business presentations." Presenting Your Point (0.92/week): M.J. Plebon is the author of this blog. He stays in Canada. Lets hear what he has to say about his blog. "PresentingYouPoint is all about presentations from the initial conceptual thinking to the final delivery. I take a 30,000 ft view on presentations, the challenges, the issues and potential solutions. Every once in a while I will drop from the 30,000 ft overview and focus in on a specific area. If you are preparing a presentation for sales, raising venture capital, reporting to your department, superiors or colleagues, you can find some useful advice here." Six Minutes (0.46/week): Andrew Dlugan, the author, focuses on public speaking and lists good articles from across the world every once in a while. Apollo Ideas (0.31/week): When I asked him Jeff Brenman about his blog this is what he said, "Musings on presentation design and delivery from the Apollo Ideas team." 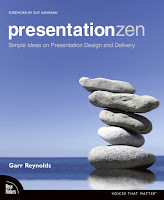 Presentation Zen (1.54/week): Presentation Zen is the most popular presentations blog. Now-a-days Garr Reynolds writes about real life presentation experiences. 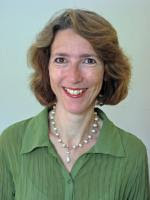 Ellen Finkelstein's PowerPoint Tips Blog (1.54/week): Ellen Finkelstein started her blog in early 2005 and this makes her blog one of the oldest. She introduces her blog in these words. 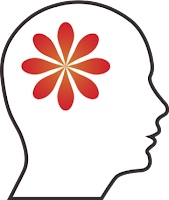 "Ellen Finkelstein’s PowerPoint Tips Blog offers tips, techniques, tutorials, articles, resources, and more on all aspects of PowerPoint and presenting." Dave Paradi's PowerPoint blog (1.38/week): Dave Paradi is a senior blogger and writes on diverse topics and offers useful tips on presentations. Create Your Communications Experience (1.00/week): Bert Decker now-a-days analyzes political and other public figures and comments on their presentation style. His blog covers public speaking & presentations. The You Blog (0.23/week): John Windsor started out in October 2006. He introduces his as, "Practical ideas on presentations, persuasion, selling, and communications." Every blog is aimed at helping you become a better presenter. The style and content vary. What is said and how it is said vary widely. Read what catches your fancy and suits your style. How did you like this post? What presentation blogs/sites do you follow? Leave a comment. This blog is comprehensive and showing all about power point presentation .